Green, green coat! This piece is one of my latest vintage finds and I wish I can wear it every day. With a resemblance of Carven design, this coat is on top of my favorites now. 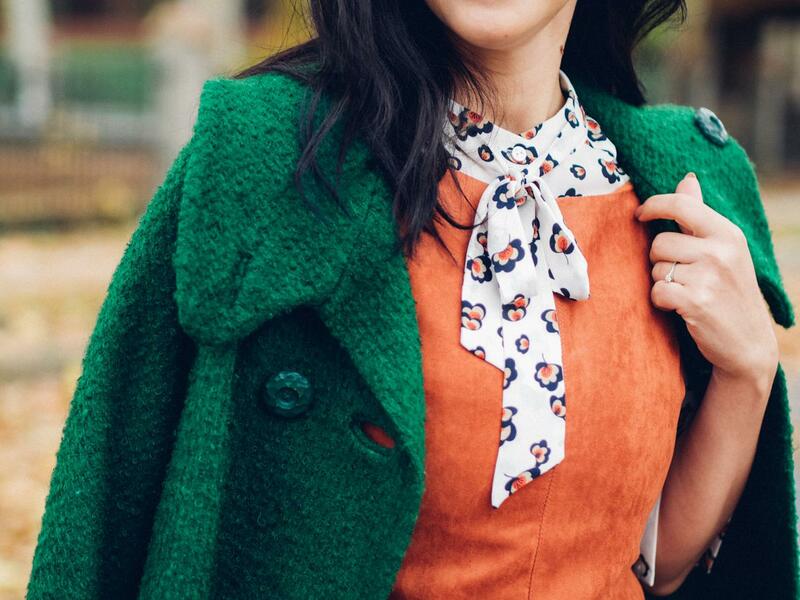 Today's look has a retro mood and definitely an autumnal palette color. Love, love, love! Wonderful combination if colours in this oufit! I’m obsessed with your coat! As someone who almost always navigates towards black, white or grey, you and this green coat are might just get me to go for color! Well done here. Love it. Gorgeous ! the garments, textures and the colour palette are beautiful. I personally love the unexpected turquoise bag.